Testing building foundation piles by crosshole ultrasonic wave method. Graphically display the test data, the user can view result directly. 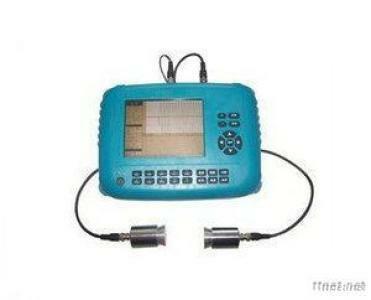 Can connect with the test hammer directly to detect the concrete strength. The function has been applied for national patent. Can receive signal with strong sensitivity more than 10m without defects in concrete. The host can supply energy to transducer without external power. Interior lithium battery can supply working power more than 6 hours. And more than 12hours combined with external lithium battery. Professional and powerful analysis software on Windows system can output the data to Excel or word for advanced analysis. Tools, Measurement & Analysis Instruments, Measurement Analyzers & Gauges/n.e.s., Measurement Analyzers & Gauges/n.e.s.